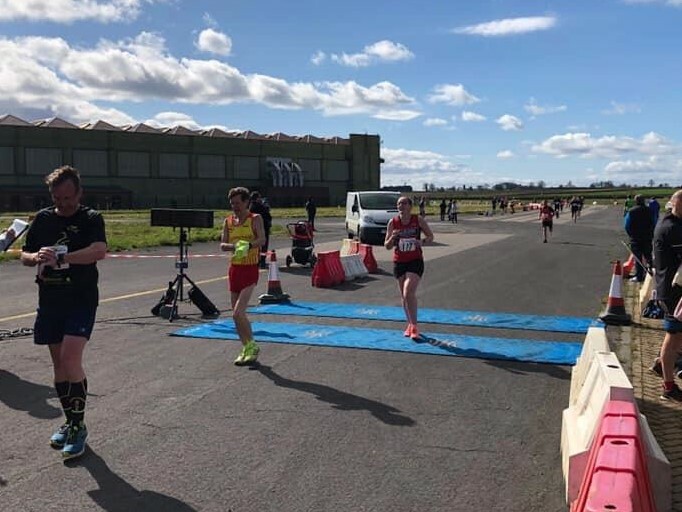 This was the 2nd running of the Dishforth Dash 10K event which was held at the recently decommissioned MOD Airfield near Ripon North Yorkshire in support of the Army Benevolent Fund (ABF). The event offered a fantastic opportunity for runners of all abilities to run on this former WW2 airbase. The route ran initially around the airfield perimeter road with the second loop incorporating the length of the main runway. The course was on a fully tarmacked surface and was officially measured so that a post-race gun and chip time could be obtained. Four Billingham Marsh House Harriers turned out for this race which was pretty much what was advertised, a fast very flat course, not particularly exciting or interesting! 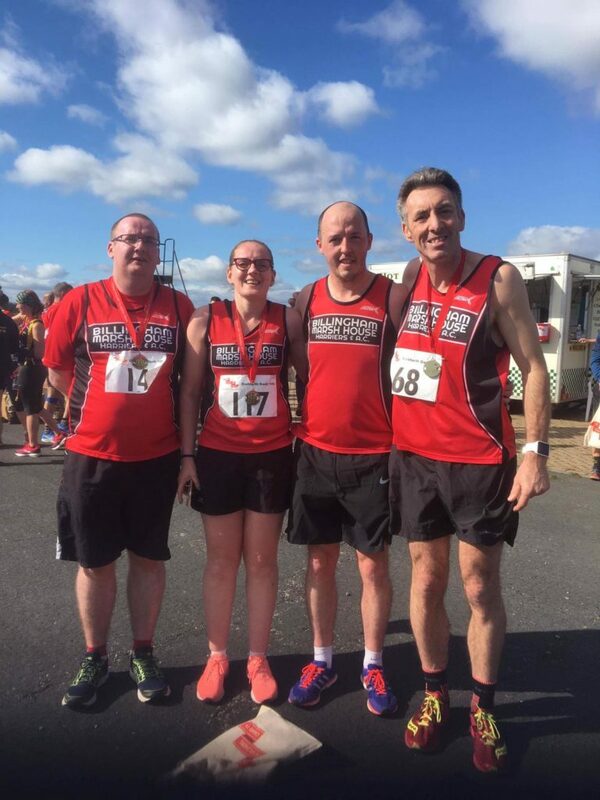 Two laps of Dishforth Airfield greeted the runners, so no views of the hanging gardens of Babylon, the sun rising over Mount Kilimanjaro or herds of wildebeest crossing the Serengeti, these sights were reserved for the imagination as we plodded around the runway!! We did see plenty of traffic migrating south along the A1 though. As mentioned, the run didn’t need to be exciting it was very flat, on smooth tarmac runways so no traffic, so in good conditions it is a definite pb course. On such a wide-open course, runners would be hoping for little wind, but sadly this was not the case, and what a wind it was and added as much as 35 seconds to my kilometres into it. The race did not have a big field, but attracted some very fast local talent, including a very competitive and close female race, which took shape ahead of me. I think I can now include Billingham’s own Andrew Love in the elite men’s crowd, who scorched round in 37.20, annihilating the wind resistance. On a better day he may well have gone close to breaking 36.00. Andy’s wife Joanne also had a brilliant windswept race and was happy finishing just outside 51 minutes. And for me, I was very happy with my run in 40.50, but know on a better day this would have been a sub 40mins run. Despite the intervention of the weather it was a great morning’s running and hasn’t put me off and hopefully, along with a few more Billy Marsh House Harriers, will be back next year to do the business.